El Sistema USA, a national membership association dedicated to supporting programs to effect social change through music, launched a 3-year, $1 million-dollar investment into 13 organizations in 11states across the country to bring free music education to underserved youth. Concurrent with the launch of PRESTO, at the July 2018 meeting of the Board of Directors of El Sistema USA, Christine Taylor Conda was elected the new Chairwoman of the Boardfor her first term. Christine Taylor Conda is Director of REACH*TEACH*PLAY Education Programs for the Ravinia Festival (2002 – Present). Under her leadership, Ravinia provides a myriad of music education programs throughout Chicago and Lake County, serving over twenty thousand students per year. Prior to working at Ravinia, Ms. Taylor was the executive director of the Boston Music Education Collaborative(1993-2001), a partnership of the Boston Symphony Orchestra, New England Conservatory, WGBH and the Boston Public Schools. In both posts she has been responsible for developing and expanding exemplary music programs, implementing those programs in public school systems and providing professional development to educators and artists. Her oversight of these programs includes strategic and curriculum planning, managing a roster of teaching artists, board management and fundraising. “We are thrilled to be transitioning from one incredible leader of our Board of Directors to the next. Christine Taylor Conda brings the experience in education and social justice leadership crucial to advancing the work of El Sistema USA. I am excited to begin our partnership in supporting the national movement of El Sistema, passionately building communities and opportunity for all through music education.” Katie Wyatt, Executive Director. The mission of El Sistema USA is to support and grow a nationwide movement of programs inspired by El Sistema to effect social change through music for children with the fewest resources and the greatest need.El Sistema USA’s diverse membership across the United States represents programs that serve some of the most vulnerable communities and children in the country. We aim to provide connections to knowledge and innovation, advocacy, and leadership development for program directors, teaching artists, students, and volunteers. Members collaborate to share resources, values, aspirations, and advocacy efforts. El Sistema USA serves three major purposes: strengthening existing nucléos through capacity development and research, encouraging the formation of new nucléos through providing resources, connections and training, and building awareness of the El Sistema movement at large throughout the United States. 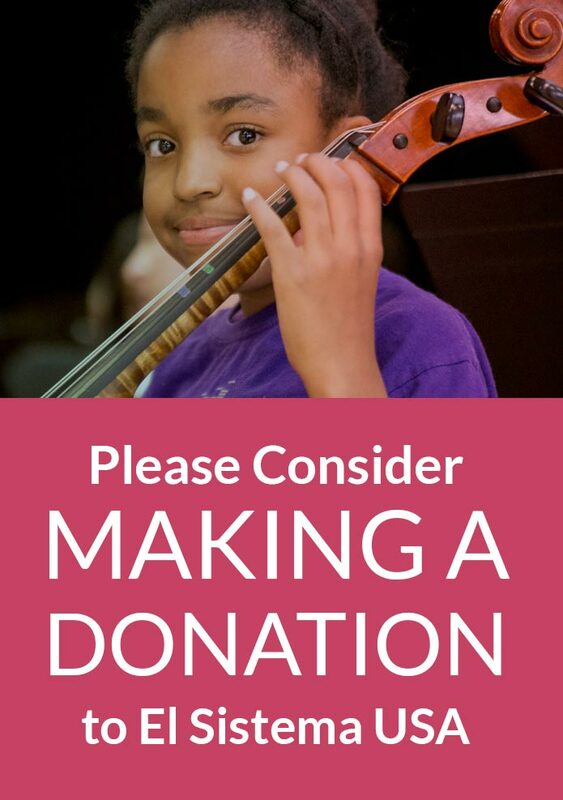 Learn more at http://ElSistemaUSA.org. Christine Taylor Conda is the 2018-19 Chairwoman of the Board of Director of El Sistema USA, and Director of REACH*TEACH*PLAY Education Programs for the Ravinia Festival (2002 – Present). Under her leadership, Ravinia provides a myriad of music education programs throughout Chicago and Lake County, serving over twenty thousand students per year. Prior to working at Ravinia, Ms. Taylor was the executive director of the Boston Music Education Collaborative(1993-2001), a partnership of the Boston Symphony Orchestra, New England Conservatory, WGBH and the Boston Public Schools. In both posts she has been responsible for developing and expanding exemplary music programs, implementing those programs in public school systems and providing professional development to educators and artists. Her oversight of these programs includes strategic and curriculum planning, managing a roster of teaching artists, board management and fundraising. An accomplished lyric soprano, Ms. Taylor received her M.M. in Vocal Performance with a Music in Education certification from the New England Conservatory. She received a B.A. in Sociology with a concentration in Urban Education from Harvard University.